When you get beyond shutter speed, f-stop, ISO, and the other settings that distracts you from focusing on the photograph, there is a “next step” in all photographers' journeys. Coming from one of my favorite YouTube channels, Nerdwriter1, this video sums up perfectly what “photographing with intention” means. 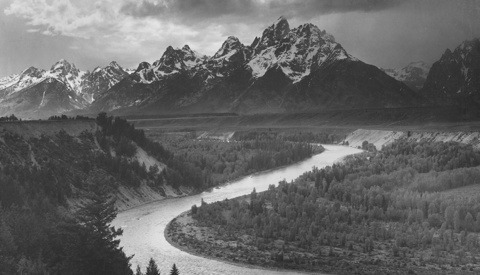 Ansel Adams used the term “visualization” to describe his way of approaching a scene. It basically means to build up a vision of your photograph before you start capturing it. In this way, Adams knew what he was after and used the camera and his instinctive feeling of tonal balance to fulfill that vision. Check out the video above on the subject, which hopefully can serve both as inspiration but also to broaden your horizon on how to think about photography or art in general. The video also delves into the “zone system,” which is a tool Adams developed along with his friend Fred R. Archer. Obviously, “visualization” is not the only way to approach photography. Other photographers have other ways of expressing themselves, which are all equally interesting. Is “visualization” or "photographing with intention" something you are already familiar with or something you already use? I am interested to hear your thoughts on the subject. Thanks for sharing, Mads — "photographing with intention" is a fantastic way to put it. It's not even just image quality and technical correctness that sets an image aside: intention gives the photo a personal meaning by pairing a story *with* the image. That time spent hiking, visualizing, and processing supplies what even a perfect shot never can: an unforgettable experience. He knew black and white tones from his piano playing. I made that up, but it could be true. ADORE that BBC series. Really enjoyed the NerdWriter's take on it. Nice work. Gotta love good public television. Love Ansel Adams - but I don't get the visualization before you get to a place. Did he just know these places intensely first and visit them when he thought he had ideal conditions? Or was it a precise technique (red filter) and the ability to know that he could manipulate in the dark room to get his visualized image. Good question. I'm guessing the former. First, from the article: "It basically means to build up a vision of your photograph before you start capturing it." I think that can be done on site. You go somewhere and you find a waterfall. But then you have to figure out how you want to frame it, from what angle, do you wait for different lighting? And what are you trying to achieve or evoke? Are you trying to show how tall it is? How powerful the water flows? How it fits into the surroundings? All of those things make up your visualization before you even touch your camera. Well put thats something i hope one day i will ask myself. Maybe i should keep a notebook until it comes automatically. However i may be wrong here but i think AA was being a bit deeper here. Ansel Adams is a brilliant photographer and he's images are really really good (no doubt), but if someone else had shot these same exact images TODAY, he or she will never be recongnized because its shot on a DIGITAL camera. Ansel did so much MANIPULATIONS to he's pics in the darkroom which is well accepted, but if the same is done today, everyone would screem ITS PHOTOSHOP so it no longer ART. Digital cameras allow us see our mistakes right away, learn faster and even experiment like never before. Certain things that used to be "WOW" before, no longer are. No photographer is allowed to be better than Ansel Adams etc. You're removing historical context and applying hypotheticals to unverifiable accusations. That's probably why you felt "crucified" in the past. One can appreciate the evocative nature and timelessness to the images without needing to compare them to modern technical standards. We don't negate the achievements and ability of the Wright Brothers by praising Neil Armstrong: this isn't a zero sum game. I'd quit focusing on attempts to compare achievements and ability, and I wouldn't cloud my own thoughts with the unfounded assumptions of others. Nobody said anything about being "allowed" to be "better" than another photographer/performer/boxer. For all the accusations you've made that people are stuck in the past, you seem to be woefully incapable of placing anything in context. But can we at least agree that the only reason people are willing to pay SO MUCH for his pictures is because they have the name ANSEL ADAMS attached to them, and some rich scholars convincing people why they should be appreciated and cost so much. If names like "Akpe Ododoru" or "Tim Ericsson" were attach to those same work (with no back story), would they also EVOKE enough feelings for people to write about us, shoot documentaries and pay so much for the same pics? Ansel is a really really good photographer no doubt, but he is one that was picked out of so many to write about, sing about and make documentaries about. When I was a child I hung “Mount Williamson” in my bedroom, knowing nothing about who Adams was, nor being told by some “rich scholar” (I never knew degrees in art history were so lucrative, smh) that he was important. I loved the way the sun beams danced over the rocks. It made me think they were alive. So yes, his images are evocative. 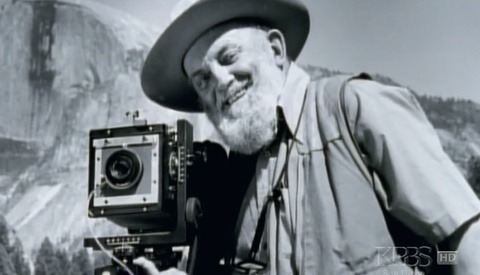 If you think Ansel Adams is appreciated and praised for the reasons you’ve described, then you’ve proven my point that you are woefully ignorant of him, photographic history and aesthetics in general. Now is the art world at times elitist? Sure. But don’t hate the player, hate the game. Was Ansel's pic the only pic you had on your wall, what about the other photographers? I too had pics on my wall that i loved so much bcus they evoked certain feelings, how come no one talks about them also? We all have our taste and appreciate art in different ways. But don't say am ignorant for appreciating something else that speaks to me over what speaks to you. Don't try and convince me that your taste is worth millions while mine isn't. You want to spend time discussing every good photographer out there, you're not going to have time to do anything else. Sometimes, however unfair that may seem, we have to make choices. You most certainly can appreciate art in any way you deem fit. But you cannot deny the impact and influence of certain artists over their genre, regardless of your own personal biases. I have no desire to convince you of anything, nor have I every argued that my own taste is worth even a penny more than your own (let alone millions). But what can be ascertained from the current discussion is the ironic conclusion that, in your attempts to diminish Adams' work by dismissing those who praise him as uninformed, you are in fact proven to be uniformed yourself. Interesting concepts. But, art is subjective or I don't think it qualifies as art anymore. Being able to photoshop well can very well be an art in itself. Some people hate michael jackson. Others love him. Some would say Pollock was a glorified finger painter. Some say a genius. Some guys love fat girls, some like skinny ones. Whatever floats your boat, man! Create the photography you love or don't do it at all. Really nice, thanks for sharing this! I'm only confused about the zone system representation in the video: is that really a zone 0 and zone 10? My understanding is that in the zone system Ansel Adams left those spots as extreme cases when is really not possible to recover, or for parts of a photograph those are not important. In the video, though, when the snake river is used as an example, my understanding is that the zone number 10 isn't really 10, but rather 8-9? Anyway, thanks again for sharing it!